FinancialForce Accounting is a cloud-based software built on the Salesforce platform. Its features include real-time financial analysis, task management, cash management, cash flow optimization, vendor payments, and more. In this article, we cover user reviews. Ready to get started with FinancialForce Accounting? Request a demo. Users who gave positive FinancialForce Accounting reviews like that it is native to Salesforce, which makes it easy to use. Others appreciate that it can be configured to help them meet their accounting requirements. One user who gave FinancialForce Accounting a positive review on G2 Crowd said that it allows her to easily download information about her customers, sales figures, products, and employees. She also commended the software for helping her company become more efficient and avoid unnecessary expenses. Users who gave negative reviews said that its customer support staff is not helpful. They also complained about its lack of an archiving feature and that they need to pay extra for storage and other important accounting tools. FinancialForce Accounting’s pricing is not readily available on their website, but apps similar to it cost around $10 to $150 per month, depending on the features included. Ready to get started with FinancialForce Accounting? Request a demo. 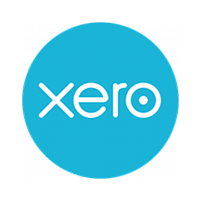 10 Best Accounting Software Options for Small Businesses 2019 — The best accounting software for small businesses should be affordable, easy to use, and allow you to easily track your income and expenses. In this guide, we looked at over two dozen accounting software and narrowed it down to our top 10. Is FinancialForce Accounting available on mobile devices? Yes, the FinancialForce app is available, and it may be downloaded from the Play Store and the App Store. What other applications are inherent in the FinancialForce system? In addition to its accounting product, other applications within FinancialForce’s cloud-based system include billing, accounts payable and receivable, general ledger, spend management, fixed assets, inventory, and financial reporting. 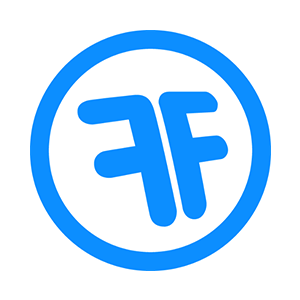 Not sure if FinancialForce Accounting is the right fit for you? Read our reviews of all top accounting software or check out one of these three FinancialForce Accounting competitors. 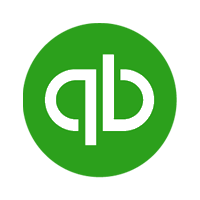 Integrates flawlessly with salesforce and allows my company to tap in to various parts of the business for accounting needs. The reporting capabilities are difficult to work with and often require significant input from the support team for things like creating new financial statements or multi-company financials. I wish I would have known about the records limit within the system. Currently we can only process 200 records at a time and when volumes are high, it can slow down our operations. The program is very efficient. The integration process was not smooth and when we had questions, the experts didn’t readily have an answer. I wish I would have know about the training videos in the Community as we were being trained. For the right price FinancialForce is able to customize a solution for our very large business. Some functionality we use out of the box but we do have a lot of customization. FinancialForce is very easy to use and because it’s built off salesforce integrates seamlessly with our other functionality. Because we are so large we do have millions of lines of data. There is currently no archiving solution which inflates our storage costs to maintain such a large amount of data in the system. That there was no solution for archiving and deleting data from the database. We have had to pay extra money to salesforce to support our large volumes of data. It is an everpresent part of Salesforce’s appexchange community, so isn’t a platform that is untested or likely to go away at any point. It is an ugly implementation. Your org is swarmed with objects, permission sets, apex, depreciated functions. You’re also kind of left to adopt it out of the box, with any config left to the purchaser to drag over the line. One finance rep said it was the worst implementation they have ever been part of. How truly significant the implementation would have been. It budgeted a Salesforce resource, 50% of the time, for a few months. It had 3 to 4 of us flocking around it and two project managers. I would like to have seen a PoC first and possibly one from a competitor like Sage Life. integration with SalesForce makes the entire sales process seamless. Very difficult to configure for a software company like ours. Seems like they are used to configuring the product towards businesses with physical inventory. Similarly, because so much customization was needed to suit our needs, FinancialForce support struggles to help us with our issues.